With the start of boating season and forecasters predicting a hot, dry summer, water-safety experts are warning of the dangers of cold-water shock, which can lead to a drowning in just minutes. An above-average snowpack this year means rivers and lakes will be colder longer. Seventeen-year-old Jeremiah Smith, “a stellar athlete” with zero body fat, drowned in Auburn’s Green River in April 2016, succumbing to what is known as cold-water shock, according to the King County Sheriff’s Office. A few weeks later, Mohamed Ali, a 27-year-old Somali immigrant who lived in Seattle, jumped from an inflatable boat and sank to the bottom of SeaTac’s Angle Lake in less than a minute. It took dive crews three hours to recover his body. “The water in Washington state does not warm up,” said Deputy Rich Barton of the King County sheriff’s Marine Rescue Dive Unit. “That’s what makes our waters dangerous. It’s not something you can tread water in for hours,” noted Derek VanDyke, education coordinator for the state Parks and Recreation Commission’s recreational-boating program. Barton, VanDyke and representatives from the National Weather Service, Washington State Parks and the U.S. Coast Guard are on a mission to discuss water safety in anticipation of Saturday’s start to boating season. They warned that this summer could prove to be more deadly than usual because mountain snow is melting at a much slower rate than usual. 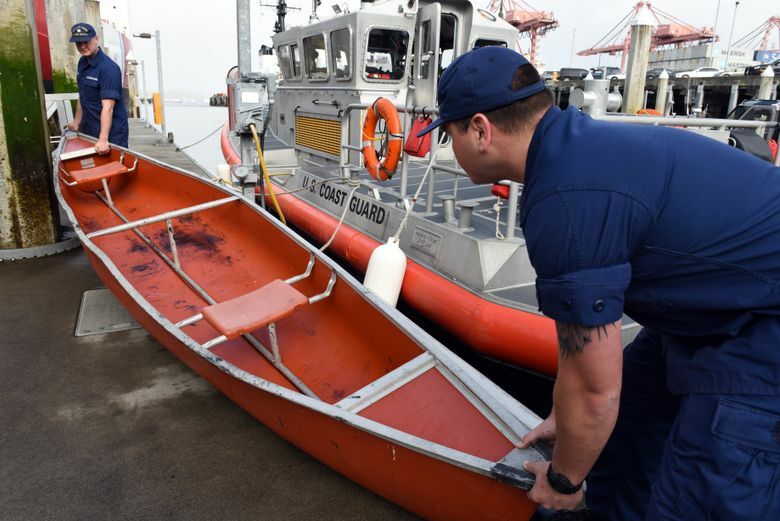 In 2015, the Coast Guard ranked Washington as the fourth-most dangerous boating state, behind Florida, California and Texas. 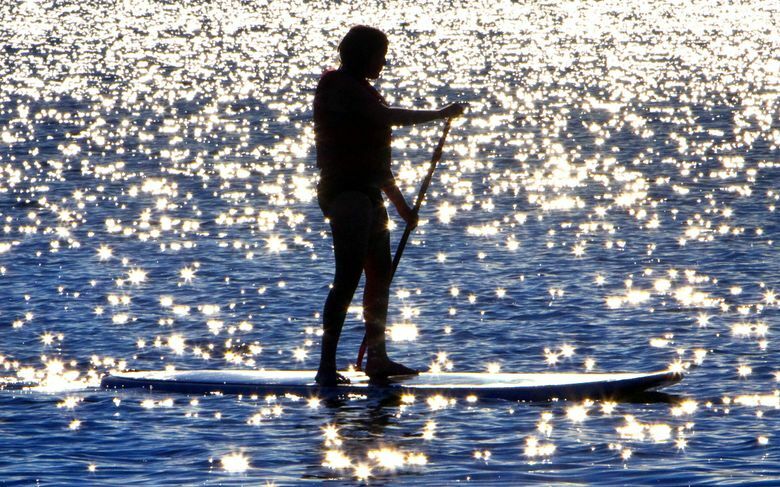 With 220,000 registered boats and an estimated 700,000 to 900,000 paddlesport users — a category that includes canoes, kayaks and stand-up paddleboards — Washington has more drowning fatalities than any state except California and Florida, VanDyke said. Though this state averages 100 drowning deaths a year, in 2016 that number rose to 180, he said. Men ages 30 to 55 are the most likely to die in boating-related incidents, and “most people who die in boating accidents die from drowning,” according to VanDyke. “What makes boating dangerous in Washington is cold water. Many of our boaters are casual boaters, so they don’t know how to mitigate the risk,” he said. After a snowy winter followed by a cool, wet spring, the Northwest Avalanche Center reported Monday the snowpack in the Olympic and Cascade mountains is 120 percent of average, said Ted Buehner, a meteorologist who coordinates weather warnings for the National Weather Service in Seattle. “We haven’t had much melt-off and runoff yet,” Buehner said of the mountain snow that feeds the region’s rivers and lakes. “This year that cold water is going to be there later in the season,” likely through September, he said. 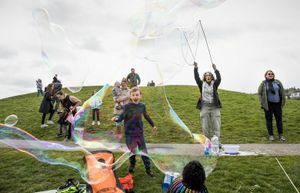 With forecasters predicting a hot, dry summer, more and more people are likely to seek relief in rivers, lakes and Puget Sound, Buehner said. But even at the height of a heat wave, water temperatures here remain dangerously cold. In Hawaii, it’s not uncommon for surfers to suffer from hypothermia in 75-degree water. But here, hypothermia isn’t the killer many people tend to think it is. That’s because it takes an hour for hypothermia to set in, lowering normal body temperature from 98.6 degrees to 95 degrees, VanDyke said. If you’re wearing a life jacket, can call for help and survive an hour in Puget Sound, “you’re going to be saved,” either by other boaters or first responders, he said. By far, cold-water shock is the bigger — and quicker — threat. Summertime water temperatures in our rivers and streams range from the upper-30s to mid-40s while temperatures in Lake Washington and Lake Sammamish usually remain in the 40s, Buehner said. The waters of Puget Sound typically hover in the low 50s. “Bottom line is, it’s cold.” he said. In the first minute of exposure to cold water, breathing and heart rate accelerate, stressing the body and leaving a person gasping for breath, said Jim Virgin, who heads the paddle advisory committee for Washington State Parks. “That first minute may do you in,” he said. Over the next 10 minutes, the body draws blood from the arms and legs to the core, quickly draining a person’s ability to swim, Barton said. Lean people tend to drown more quickly because they don’t have any body fat to insulate them from the cold, Barton said. Lake Washington is patrolled by the sheriff’s marine unit as well as the Seattle and Mercer Island police departments, increasing chances of a quick rescue. The Snoqualmie River is also regularly patrolled. But with 250 miles of rivers in King County and numerous small, isolated lakes, it can take 60 to 90 minutes for rescuers to get to someone in trouble, said Deputy Dan Christian, also with the sheriff’s marine unit. Due to cold-water shock, even experienced swimmers, paddleboarders and kayakers can drown without hope of rescuers reaching them in time. Virgin pointed to the August 2015 drowning death of Andres Pombo, a 29-year-old paddleboarder from Miami, as an example. Pombo, who wasn’t wearing a life jacket and hadn’t tethered his board to his ankle, was on a practice run for the Naish Columbia Gorge Paddle Challenge when he fell into the Columbia River. “Video evidence from a GoPro camera clipped to Pombo’s board showed him falling into the mid-channel of the river near Swell City, and swimming for roughly one minute before vanishing from view. Witnesses combed the area within minutes, searching to no avail,” the Hood River News reported at the time. Officials here are particularly worried about transplants from warmer states and countries who may not understand the dangers of Washington’s cold water. A number of migrant workers have drowned in Eastern Washington rivers, VanDyke noted. “We do see higher instances of drowning in the Hispanic population,” he said. Last month, King County participated in April Pools Day, a water-safety program targeting underserved communities. Deputies Barton and Christian said King County has seen an influx of immigrants from Mexico and South America, India, the Middle East, Eastern Europe and China. “He’s a good swimmer in his native country, but there the water is 80 degrees. Here it’s 50,” Christian said.